Photo 01: A yellow-cowled Bf 109, believed to be from 3./Erprobungs-gruppe 210, taxies from its dispersal heavily laden with an SC 250 bomb. After a brief two-week rest from combat missions, 3./Erp.Gr210 returned to combat on 15 October and in the period 15 - 29 October, this Staffel flew thirteen missions with the loss of only one aircraft. Photo 01: A Feldwebel pilot and ground crew from 3./Erp. Gr. 210 posing with an SC 250 bomb at Denain, near Valenciennes, August 1940.The bomb bears the personal inscription 'Greetings from Arno'. Photo 01: 'Red 4', was another Bf 109E-1 which barely made the coast of France. This aircraft is believed to have belonged to 3./Erprobungsgruppe 210 based at Calais-Marck and its white wingtips are visible below the waves. Although the camouflage scheme is probably still unfinished, the heavy style of mottle extending over the nose surfaces is unusual and unlike that normally seen on this unit's aircraft. The displaced panel ahead of the canopy and the open panels in the wings indicate that, despite the rising tide, the guns have been made safe. 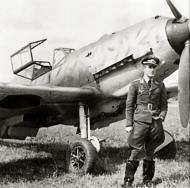 Photo 01: Similarly camouflaged, a Bf 109E of the specialist fighter-bomber Staffel 3./Erp.Gr 210. Previously identified as Oblt. Otto Hintze's 'Yellow 1', the original print of this photograph was marked to indicate that it was 'Yellow 3' flown by August Wiing. Born in 1910 and therefore older than the average Bf 109 pilot, Wiing was a very experienced glider pilot who later went on to serve with the experimental units EKdo 25 and EKdo 262. August Wiing. Born in 1910 and therefore older than the average Bf 109 pilot, Wiing was a very experienced glider pilot who later went on to serve with the experimental units EKdo 25 and EKdo 262.